The period between the end of the 70s' and the beginning of the 90s' of the 20th century (often named as the eighties) was definitely marked by the outburst of different aesthetic dogmas. Technology had already brought as home video and music video clips, and the latter definitely had a great impact on other artistic disciplines such as music, movies or video games. Back then, it was quite typical to release fight movies based on Asian martial arts although set in the USA, as is the case of Karate Kid, Big Trouble in Little China, American Ninja... most of which were about street gangs made up of all sorts of punk-looking vandals. And those concepts soon landed in music videos, and luckily enough, in the video game world. Shinobi, Double Dragon, DragoNinja... essential classics. 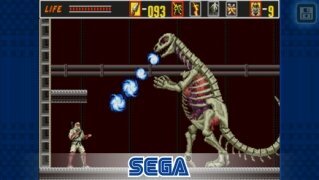 And precisely the latter had experienced a significant improvement in terms of graphics thanks to the popularization of home gaming systems such as Nintendo and Atari, without forgetting about the 16-bit arcade machines. 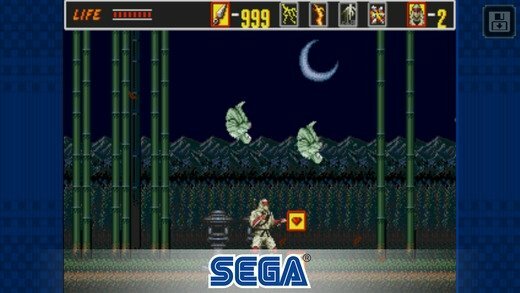 That's how we enjoyed playing Shinobi, the game developed by SEGA that was also released for Mega Drive (even PS2) and that started an excellent action game saga in 1987. 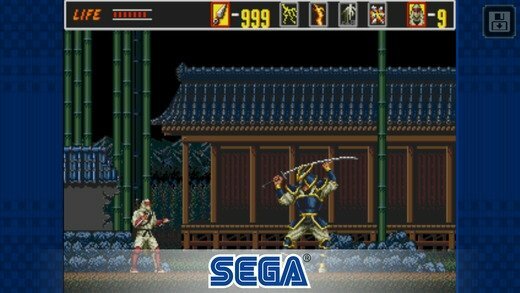 Well, the second part, called The Revenge of Shinobi, appeared in 1989 to allow us to continue kicking, punching and throwing shurikens at all the bad guys we came across. 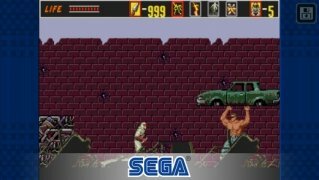 This beat'em up brought together all the basic elements of this genre such as loads of enemies belonging to gangs, final bosses, worn-down urban settings, and of course, a very typical plot: a gang of criminals has killed your ninjutsu instructor and kidnapped your girlfriend. It's time to seek justice. Explore eight different districts that will take you from Japan to the USA. Face up to final bosses. Collect shurikens to be thrown at the bad guys (the cheat codes don't work, by the way). Learn ninjutsu techniques to wipe out your enemies. Use special kicks and punches. Play on any of the four difficulty levels: from beginner to ninja master. 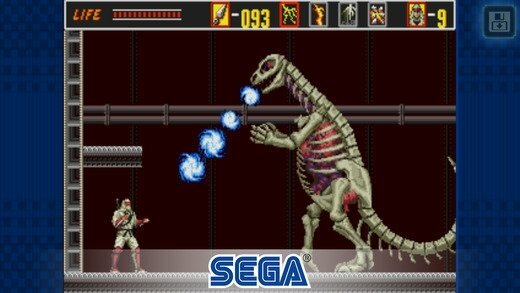 So, within the collection that the legendary Japanese video game company has released for iPhone and Android, SEGA Forever, we can find this gem from the eighties that joins other classics of the likes of Sonic or Kid Chameleon. Therefore, a great chance for nostalgic users and those that didn't have the chance to play it back then to give this excellent game a try. And remember that it allows you to save your games and play for free (although you can also pay to remove adverts). A must.